For scuba divers, there are few sights more inspiring than watching Manta rays perform their somersaults of grace. These amazing creatures are quite frequently viewed feeding alone near the surface at Thailand scuba diving sites and other shore waters, near rocky and coral reefs. A little bit of Commensalism goin' on.. 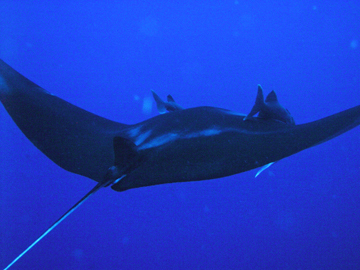 Many Manta Rays have opportunistic remoras attached to their undersides. -*why? 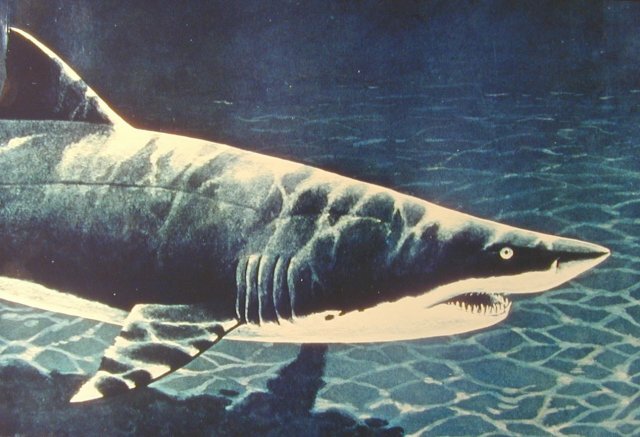 -these remoras consume scraps that result from the Manta's feeding process. + It has been observed that some Manta Rays visit "cleaning stations" called cleaner wrasse. They let this reef-side station remove tiny parasites from their gill and skin areas. +Mantas occasionally seek out attention or approach divers, apparently enjoying the sensation when touched, and they also like scuba unit bubbles. This is not consistent with other rays such as the Blue-spotted Stingray. +However, in areas frequented by divers, they often become very wary and cease to approach. +If you were to come at a manta ray quicky and grasp it, they would most likely roll onto it's back, dive, or swim away rapidly, putting itself a good distance away. +Some research has been done to say that touching a manta ray, even if they present their undersides, will most likely remove some of the mucus. This mucus provides the Manta Rays with protection against marine infections. +You should stay within their sight and allow them to decide if they want to approach you. Although obvious, don't blow bubbles in their face. +Taking photos and video of the Mantas doesn't seem to cause harm or both, but try to avoid it, if they are mating or eating (just like a dog). +A friendly connection could be found with direct eye contact, which also seems to be enjoyable to them. Riding a manta ray, is always a bad idea, as they cannot benefit from the experience. Are Manta Rays hunted or are they anything's prey? +The population of Manta Rays around the globe are in trouble. The harvest of these rays, especially in countries like Indonesia has increased exponentially in just a few years. 1,500 mantas have been taken over a 6-month period. Increased pressure on fisheries has really given local fishermen to look to the Manta Ray as an alternative meat source. +Manta's brachial gill plates are used in traditional Chinese medicine. +It's skin has also been exploited for the production of wallets and handbags. +There is a balance that exists between the demand for Chinese medicine, the economic well-being of small fishing villages, and the protection of the Manta Ray. I do hope for more to be done to protect these majestic creatures in the future, and less for the economies of selfish countries. Does this mean Manta Rays are endangered? +The Giant Manta is listed as "NEAR THREATENED (NT)" on the IUCN Red List of Threatened Species. If you want to learn more interesting facts about the Manta Ray, continue on >>here<<.